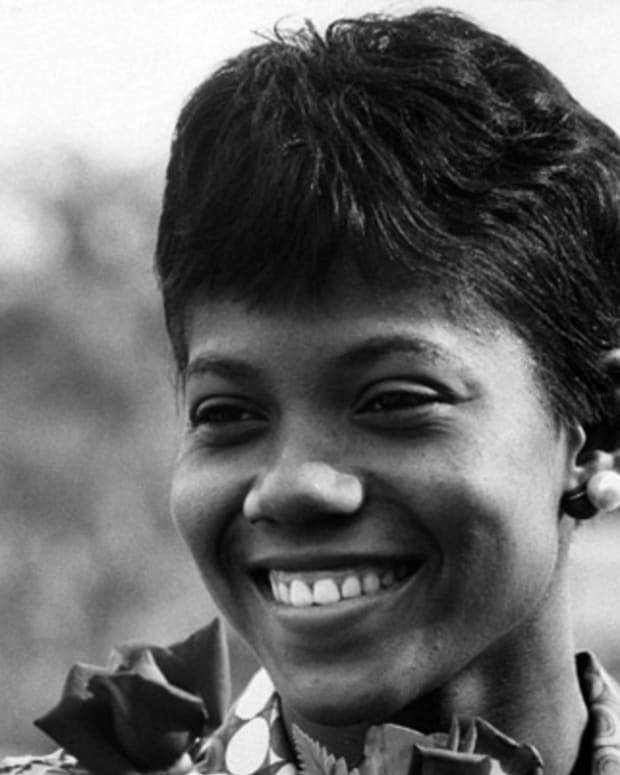 When and Where Was Gabby Douglas Born? Olympic gymnast Gabby Douglas is best known as the first African American to win the individual all-around event. She also won gold medals for the U.S. in the team competitions at the 2012 and 2016 Summer Olympics. Gabrielle Christina Victoria Douglas (born December 31, 1995), better known as Gabby Douglas, is an American gymnast who became the first African-American in Olympic history to win the individual all-around event at the 2012 Summer Games. 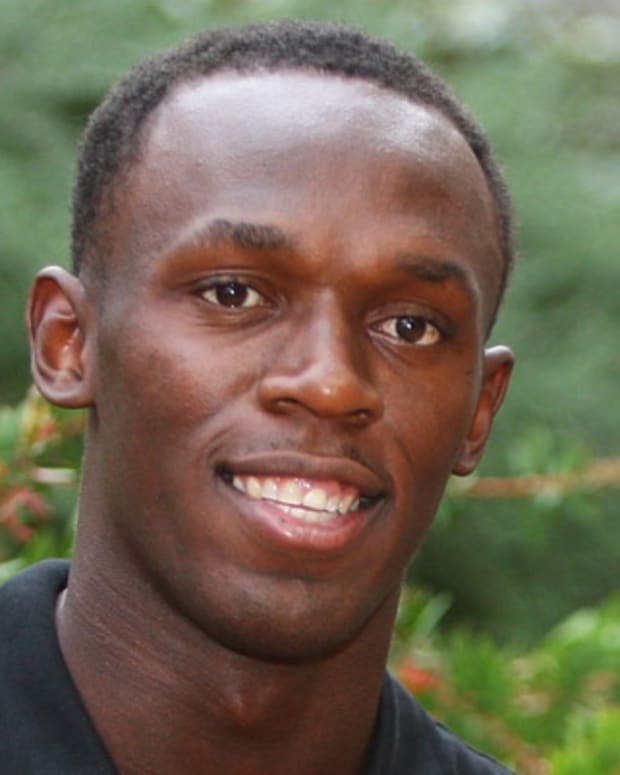 Douglas also won team gold medals at the 2012 and 2016 Summer Olympics. Douglas began formal gymnastics training at six years old and won a state championship by the time she was eight. In 2016, Gabby Douglas unveiled a Barbie Shero doll just before the Summer Olympics in Rio. 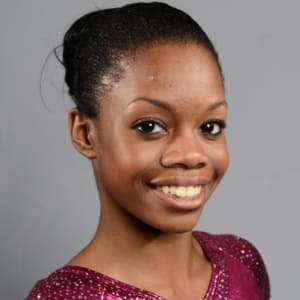 Gabby Douglas was born on December 31, 1995, in Virginia Beach, Virginia. Douglas released her autobiography Grace, Gold, and Glory: My Leap of Faith in 2012. The Gabby Douglas Story, a TV movie about the gymnast’s life, aired on Lifetime in 2014. Douglas Family Gold, a reality TV show following Douglas and her family, premiered on the Oxygen channel in 2016. On July 11, 2016, the day after she was named to the Olympic team, Gabby Douglas debuted her new Barbie Shero doll. Gabby Douglas is 5 feet, 2 inches tall. Gabby Douglas was born to Timothy Douglas and Natalie Hawkins. Her first experience with gymnastics came at the age of three, when she perfected a straight cartwheel using a technique that she learned from her older sister, Arielle, a former gymnast. By age four, Douglas had taught herself how to do a one-handed cartwheel. With encouragement from Gabby&apos;s sister, Douglas&apos; mother allowed Gabby to begin taking formal gymnastics classes at the age of six. Only two years later, in 2004, she was named a Virginia State Gymnastics Champion. When Douglas turned 14, she left her hometown and family, and moved to West Des Moines, Iowa, to train with renowned coach Liang Chow, known for molding American gymnast Shawn Johnson into a world champion and Olympic gold medalist. Travis and Missy Parton volunteered to be Douglas&apos; host family in West Des Moines. 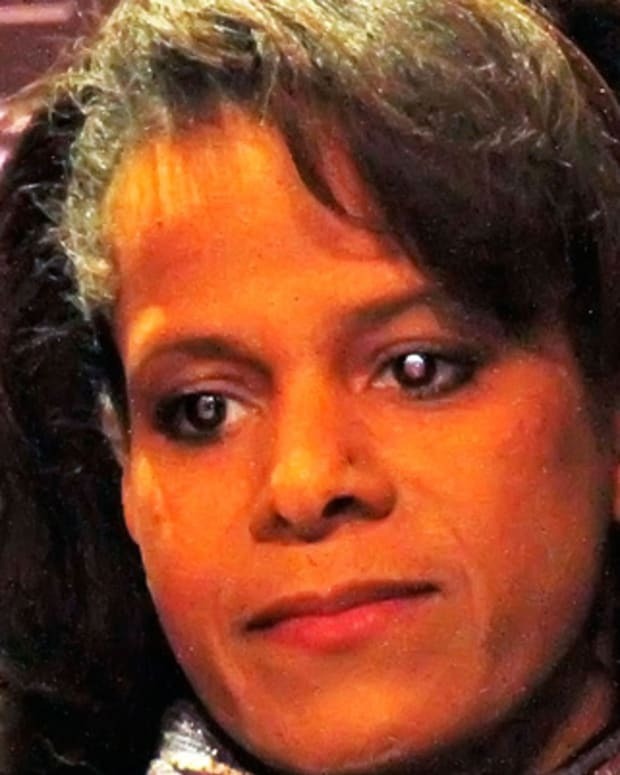 According to Douglas&apos; official website, she became like a big sister to the Parton&apos;s four daughters, one of whom was also a student of Chow&apos;s.
"Her unique blend of power, flexibility, body alignment and form has led her to be compared with three-time Olympian Dominique Dawes," according to an article on American-Gymnast.com. Douglas is the first African American to make the U.S. Olympic women&apos;s gymnastics team since Dawes in 2000. 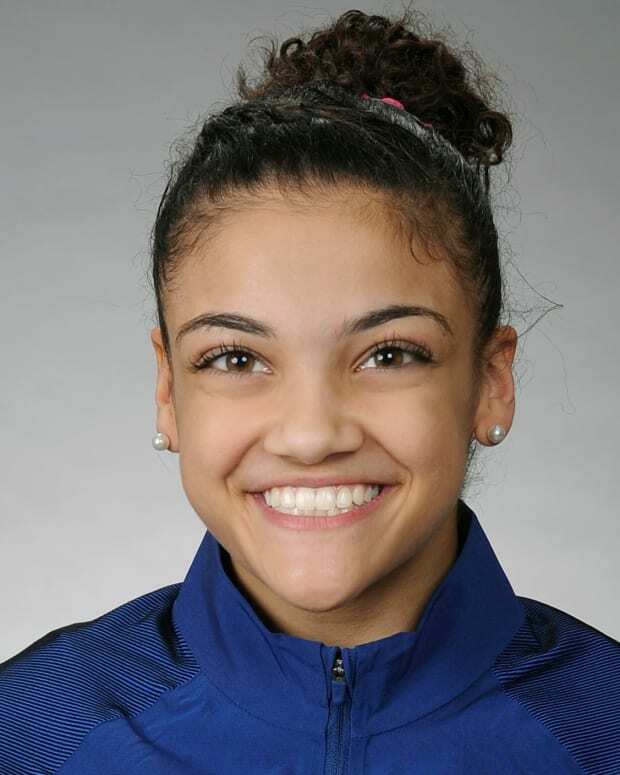 Douglas&apos; high-flying skills and high difficulty score on bars not only likened her to Dawes, but caught the attention of U.S. women&apos;s national team coordinator Martha Karoyli, who nicknamed her "Flying Squirrel." At the 2012 Summer Olympic Games, Douglas and other members of the U.S. Olympic women&apos;s gymnastics team — Kyla Ross, McKayla Maroney, Aly Raisman and Jordyn Wieber — took home a team gold medal. Fans worldwide watched as judges announced the team&apos;s medal win — the first gold medal for the American women&apos;s gymnastics team since 1996. By 2012, 16-year-old Douglas had proven herself a champion, going from underdog to Olympian in a short time. She was featured on the cover of Sports Illustrated in early July of 2012, along with the rest of the U.S. Olympic women&apos;s gymnastics team, and on one of five covers released by TIME Magazine that same month. She was also a featured Olympian on Kellogg&apos;s special edition box of Wheaties corn flakes. Douglas did not compete in 2014, but returned to international competition in 2015. She placed 4th all-around at the 2015 City of Jesolo Trophy, second in the all-around at the U.S. Classic and 5th overall in the P&G Championships. She was named to the Senior National Team and was selected for the 2015 U.S. Women&apos;s World Championship team. She also won silver in the all-around at the 2015 World Artistic Gymnastics Championships in Glasgow, Scotland. On August 9, 2016, Douglas helped the U.S. women&apos;s gymnastics team grab the gold again with her impressive performance on the uneven bars, for which she scored 15.766. Raisman explained the meaning behind the team nickname on the Today Show: “We&apos;re the Final Five because this is [coach] Marta [Karolyi&apos;s] last Olympics, and without her none of this would have been possible. ... We wanted to do it for her just because she&apos;s there with us every single day.” She added: "This is the last Olympics where there&apos;s a five-girl team. The next Olympics is only going to be a four-person team." Douglas had the third highest score of 61 participants in the qualifying rounds to compete in the women&apos;s individual all-around event. However, a rule which only allows two gymnasts per country to compete prevented Douglas from participating and defending her 2012 title. 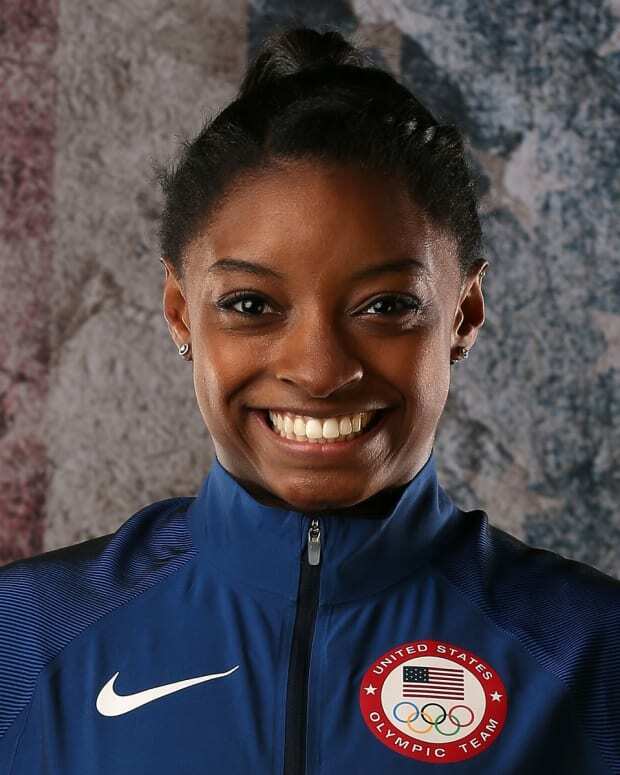 Teammates Biles and Raisman finished ahead of her in the qualifying round and went on to take the gold and silver, respectively, in the competition. Douglas, who tearfully told reporters the attacks were "hurtful," said she would remain positive. “I still love the people who love me, still love the people who hate me, and I’m just going to stand on that,” she said in an interview with The Washington Post. Douglas became embroiled in controversy after news of former USA Gymnastics team doctor Larry Nassar&apos;s inappropriate actions toward patients, which included members of the celebrated 2012 Olympic team, became public. 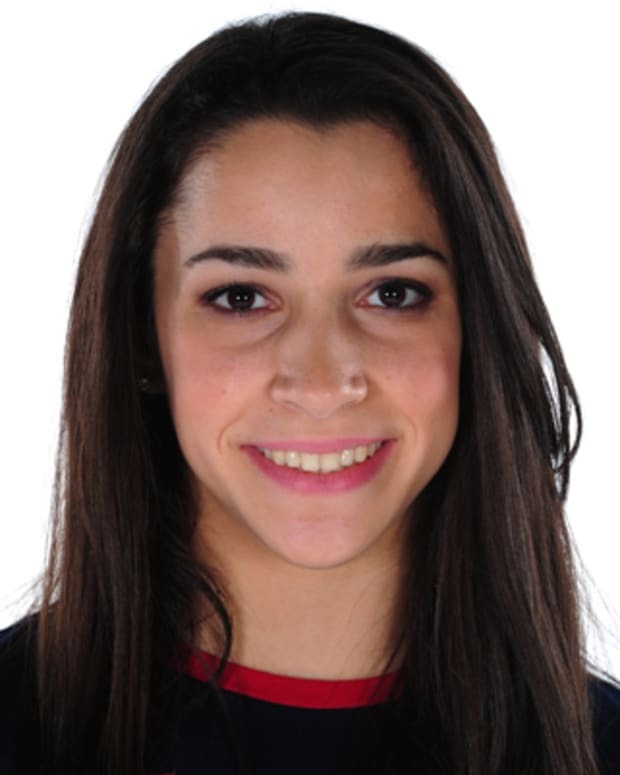 As Nassar stood trial for criminal sexual conduct charges in November 2017, Aly Raisman made several media appearances for her new autobiography, in which she revealed she had been molested by Nassar. Douglas then responded to a tweet by Raisman by pointing out that women should "dress modestly and be classy ... dressing in a provocative/sexual way entices the wrong crowd." Coming at a time when women from numerous industries were sharing accounts of sexual harassment, Douglas&apos; comment drew immense backlash for contributing to victim shaming. After parrying some of the outrage directed her way, Douglas attempted to clarify things with a lengthy Instagram apology, in which she hinted that she had also been molested by Nassar. Her publicist later confirmed that Douglas was indeed revealing that news with her post.